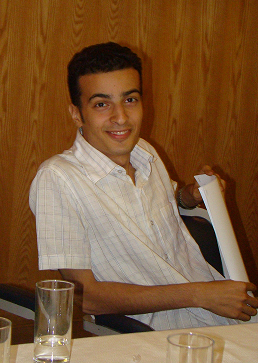 An Egyptian military court today overturned the verdict in the case of Maikel Nabil Sanad, the blogger earlier sentenced to three years in prison for “insulting the army.” They ordered a retrial without setting a date for it. The court did not set him free or order his transfer to a hospital, though he has been on hunger strike for 50 days. Maikel Nabil is a Copt, a fact which perhaps assumes additional significance in view of the weekend’s violence. Maikel’s mother, Nagwa Nashed, was in tears when she heard the appellate court’s decision, having expected to return home with her boy. The worried mother, who lives with Maikel’s father in the Upper Egyptian city of Assiut, said she had packed her suitcase and was preparing to travel to Cairo to bring her son home. “I’m afraid that when my son hears the verdict he will die,” she said as she attempted to keep from crying. “What has Maikel done? He said something they don’t like?” she asked between sobs and sniffles. “Why did they keep only Maikel? Is it because his name is Maikel?” she said in reference to recent Maspero clashes between Coptic protesters and army forces. A sample letter is here, on a blog that also carries updates on Maikel’s health (Arabic and English). This entry was posted in Human Rights, Politics, Uncategorized and tagged bloggers, Cairo, Copt, Egypt, freedom of speech, Maikel Nabil, SCAF by scottlong1980. Bookmark the permalink.